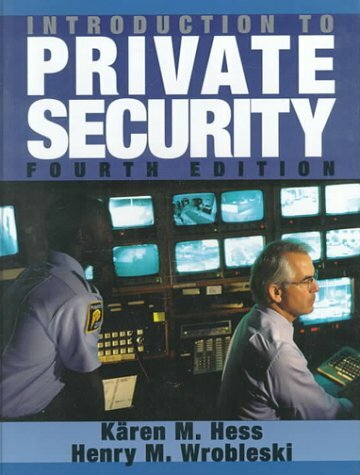 This text gives students a comprehensive overview of private security, its principles, its legal authority, and its effect on society in general. This basic information provides an overview of the entire field (development, philosophy, responsibility, function) as well as establishing a solid foundation for future courses. Henry M. Wrobleski, LL.B., is a well-known author, lecturer and consultant with 30' years experience in law enforcement. He was coordinator of the Law Enforcement Program at Normandale Community College and Dean of Instruction for the Institute for Professional Development. Mr. Wrobleski is a graduate of the FBI Academy. He is also the co-author of the following Wadsworth texts: INTRODUCTION TO LAW ENFORCMENT AND CRIMINAL JUSTICE and PRIVATE SECURITY.